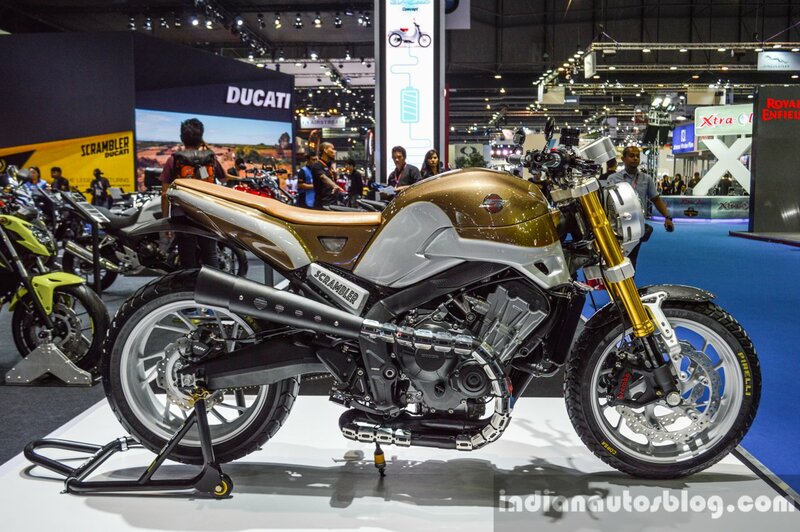 The Honda CB650 Scrambler Concept has been presented at the 37th Bangkok International Motor Show (2016 BIMS). It is the latest of the numerous concepts Honda has developed based on the Honda CB650. To recap, the brand unveiled two concepts based on the CB650 at 2015 EICMA in Milan, a scrambler and a cafe racer. With a brown colour theme the Honda CB650 Scrambler Concept for Bangkok has a retro-classic styling despite the use of modern equipment. The motorcycle features dual-purpose Pirelli MT-60 tyres, silver-coloured multi-Y-spoke alloy wheels, dual disc brakes upfront with radially-mounted Brembo calipers, and a gold-coloured inverted fork. 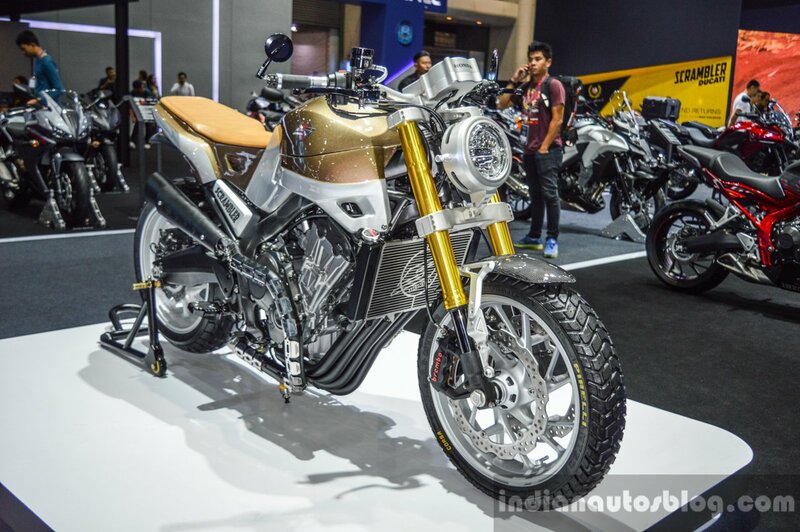 The bike also features a round headlamp with LED lights and aluminium housing, carbon-fibre mud guard with aluminium mounts, laser-cut radiator guard, brown and silver paint-job on fuel tank and tail cowl, beige upholstery on a thin seat, exposed chassis, LED ring DRL at the rear encompassing a red LED stop-lamp, carbon-fibre chain cover, custom megaphone exhaust with dual outlets and a unique pipe guard, single-piece handlebar with cafe-racer style end mirrors and a custom digital speedometer console with aluminium casing.